When two people get married, their lives change; the lives of the people in their respective families also change to an extent. But, the biggest change comes in the life of the girl, who leaves her home, family, lifestyle, habits and what not behind, to live with the man she dreams of spending a beautiful life with. Even though this equation looks a little sad for the bride, but as it is the norm of the society, nobody says anything against this rule. Nonetheless, we all accept this, but what is unacceptable is that a relationship like marriage gets a bad name when the word DOWRY comes into it. 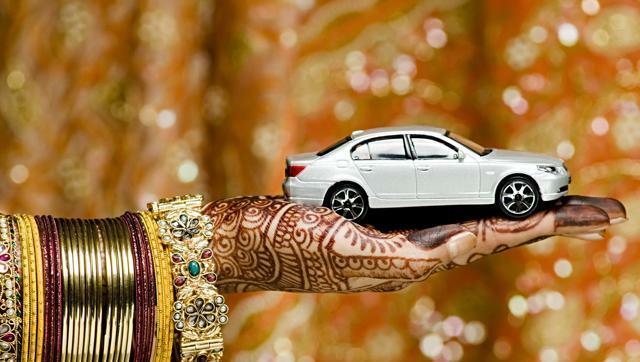 The system of gifting things in cash and kind to the groom and his family has gone so out of hand in so many communities in India that people asking for dowry, have basically become shameless. Addressing those money-minded people directly from here, I would like to say to them that by asking for an amount to get your son married to a girl basically means that you are putting a “Price-Tag” on your son. It was you who had put your son out in the marriage market with a price, and sold probably to the highest bidder, and even got the girl, but still the bride’s family lost everything in the transaction. This comes out as an absurd deal when we consider the laws of economics, but now you will say that this a "Social" matter and not an "Economic" one, then what made you act like an anti-social and an anti-humanity person by being so greedy that you could not see the pain in the eyes of that girl and her parents who must have taken so many loans to just satisfy your hunger for money. Now you my boy, did the girl or her family pressurize you to be in that professional field where you earn so brilliantly? No, right? Then why should they be accountable for your choices and repay all that money you had put to become whatever that you are today. If you seek an educated girl who also earns brilliantly, then why the need for that extra money that you are demanding? Her parents had also invested in her future, and that only should be your dowry if you are so in love with this word. Your ego will be bruised if she earns more money than you, but your self- esteem will not even utter a word when your parents go all, “Len-den ki baat karte hain”, with the girl’s family. Trust me, many girls like me think that you are being sold by your parents when they put that price tag on you. You may think otherwise because you stay with your family only, but the truth is that you lose each strand of respect in the eyes of the girl you are about to marry, and you will see that when you do get married to her. Obviously, everyone must be thinking I am ranting all about this because I have faced this, YES I HAVE! I am a 27-year-old girl whose parents are looking for a groom for her, and not once, but twice I had to call-off my engagement, because the groom and his family were asking for some specific gifts. It feels bad when you start believing that a new journey of your life is about to start, and then just because of the greed of people like you, all those dreams get shattered. The good part in my case is that my parents made those decisions with me and I am proud of the fact that my parents are not feeling the “ladkiwale itch” and are taking that stand every time an absurd demand is made by the families of the prospective grooms. But, you know what, not all girls get this chance, their parents succumb to the pressure of the society, and then you get the wife who never respects you as the man in her life. You may get the money, but true love and respect, you will never get. Now, this is not to say that every family is like that, there are good examples also in the society who accept the girl whole-heartedly because she is going to be a part of the family. She is going to take care of the family and will also take care that the family name gets going. Please understand these things and stop demanding dowry from someone whose lifeline you are taking away from them. Those parents need more love when they give away a daughter, don’t burden them with such inhumane acts.